Action for Singapore Dogs (ASD) is a non-profit organisation with the mission to improve the welfare of stray and abandoned dogs in Singapore. ASD aims to fulfil its mission through various activities and programs including rescuing, fostering and re-homing of stray and abandoned dogs, advocating sterilisation to control the stray population, heightening public awareness of the responsibilities involved in pet ownership and highlighting the virtues of our local dogs. The Animal Concerns Research and Education Society (ACRES) aims to: foster respect and compassion for all animals; improve the living conditions and welfare of animals in captivity; and educate people on lifestyle choices which do not involve the abuse of animals and which are environment-friendly. ACRES strongly believes in promoting community involvement in tackling animal welfare issues and in building partnerships with all related bodies to improve animal welfare. Animal Lovers League is a non-profit organisation giving lodging, food, care and love to the beloved dogs and cats forsaken by many. The Asian Geographic Society is a non-profit, scientific and educational society dedicated to the promotion and conservation of Asia‟s environment, culture and wildlife. Avelife Foundation aims to be an educational platform for effective green innovation for active learners and corporate leaders. BirdLife International is a global partnership of conservation organisations that strives to conserve birds, their habitats and global biodiversity. Blessings in a Bag is a not-for-profit, non-governmental organisation that seeks to partner with existing communities, orphanages, schools, homes as well as initiatives to provide for the needs of underprivileged, abused and medically-ill children across Asia. They collect new and used items that are in good condition and direct them to various destinations across Asia, and also aim to build eco-friendly homes. Blue Water Volunteers (BWV) is a volunteer-based, marine conservation NGO that seeks to complement research activities and increase awareness of local marine habitats, such as coral reefs. They strive to achieve their aims for conservation, awareness and education through four main programmes: ReefFriends, ReefWalk, ReefTalk and ReefExhibits. The Cat Welfare Society is a charity whose aim is to improve the welfare of community (feral) cats in Singapore. Their aim is to: promote tolerance, kindness and respect towards cats and other living creatures; promote sterilisation as opposed to culling of cats; promote responsible pet ownership and responsible management of community cats; and increase awareness of the state of cats living in the streets of Singapore and stop ignorance through education. Causes for Animals (Singapore) is an animal welfare charity set up to support the needs of local animal welfare in Singapore. It employs programs and policies to promote best practice, ethical, sustainable and compassionate treatment of animals. Cicada Tree Eco-Place is a non-government, non-profit organisation that promotes the natural and cultural heritage of Singapore through environmental education and eco-living. They run environmental education and help build and enhance the capacity of teachers in nature education. Comcrop is Singapore’s first sustainable urban farming project, with the mission to grow and sell the best tasting vegetable ever, build a socially conscious business model to create a deep impact, and create the most sustainable vegetable farm in an urban city. Conservation International builds upon a strong foundation of science, partnership and field demonstration, and empowers societies to responsibly and sustainably care for nature, our global biodiversity, for the well-being of humanity. Earth Hour is a global environmental initiative, where individuals, businesses, governments and communities switch off their lights for one hour to show their concern for the environment. Earth Society is a non-profit organisation formed by a team of individuals who are passionate about environmental protection, and spreading environmental awareness through free assembly talks and seminars on global warming for schools, companies and organizations. Edible Garden City champions the “Grow Your Own Food” movement in land-scarce and import-dependent Singapore. They believe that growing food re-connects urbanites to nature, conserves natural resources, and cultivates a sense of community. 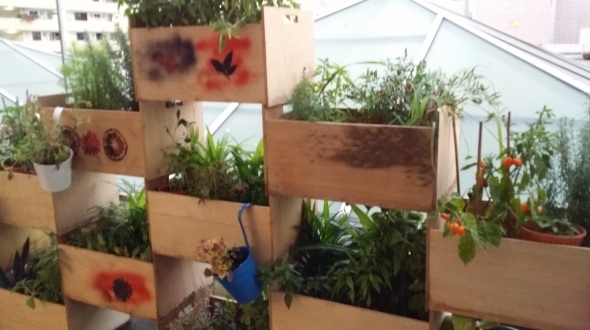 Engineering Good is a non-profit organisation that empowers disadvantaged communities by improving their quality of life through sustainable engineering solutions. ECO Singapore is a not-for-profit social enterprise. ECO aims to establish a voluntary environmental movement, thereby creating opportunities for active involvement by Singaporean youths, instilling a sense of commitment and awareness of environmental issues and global hazards. By providing youths with a holistic approach towards environmental issues, ECO encourages youths to take initiative and choose to live environmentally sustainable lifestyles. Food Bank Singapore strives to bridge the gap in the market by collecting the surplus foods in the market and providing them to organisations and people in need of food. Food from the Heart (FFTH) started with the Bread Distribution Programme in February 2003, and has been channeling unsold bread from bakeries and hotels to welfare organizations, needy families and individuals since then. FFTH has also expanded to four other programmes: Self Collection Centre, Food Goodie Bag, Birthday from the Heart and Toys from the Heart programmes. GK1World (Singapore), representing Gawad Kalinga in Singapore, is a non-profit organisation committed to poverty eradication and community building. 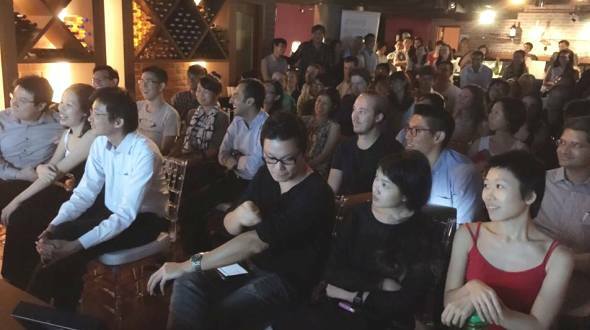 Green Drinks Singapore is a non-profit environmental group that seeks to connect the community, businesses, activists, media, academia and government, for knowledge sharing and collaboration opportunities. Greensport Singapore organizes fun and innovative sporting events for our community, where people can make a positive impact on the environment through their participation. Ground-Up Initiative (GUI) is a volunteer-driven non-profit community that values connecting with the land for the many things it teaches us. The House Rabbit Society of Singapore (HRSS) is an all-volunteer, non-profit organisation dedicated to rabbit welfare and awareness. They seek to reduce the number of unwanted rabbits in Singapore and improve rabbits’ lives through education. HRSS runs a fostering programme to rescue and re-home abandoned rabbits. Humane Society (Singapore) was founded to address the rising number of animals needing help, including pet animals being abused or abandoned by their owners, the breeding dogs languishing in puppy mills, and the stray population who battle for survival every day. 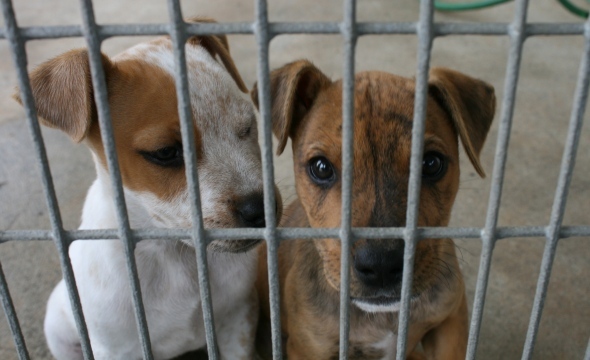 It aims to end the abuse and exploitation of dogs, cats and all pet animals in our society. The Jane Goodall Institute (Singapore) (JGIS), is part of the international network to continue Dr Goodall’s work with humans, animals and the environment. JGIS educates children and young adults about the importance of individual responsibility toward the ecosystem and supports them in taking action to improve their environment for the benefit of all. Kampung Senang Charity and Education Foundation is a volunteer-driven charity and education organisation. Their services include: Care services for children and the elderly; Free medical care; Holistic Support For People Affected by Cancer; Eco-Harmony Global Network; Mobility aids services and training; Kindergarten and childcare Services; and Occupational therapy and Natural therapy. Kampung Temasek, The School Of Doing, is a not-for-profit that aims to bring back kampung days, and integrates exciting curriculum and programmes with nature and sustainable technologies. Lien AID is a non-profit organisation propelled by the mission to enable rural poor communities in Asia to gain affordable, continued access to clean water and proper sanitation. The Nature Photographic Society (Singapore) is a registered photographic society in Singapore with the aim of creating an interest in preserving the beauty of the natural world through photography. 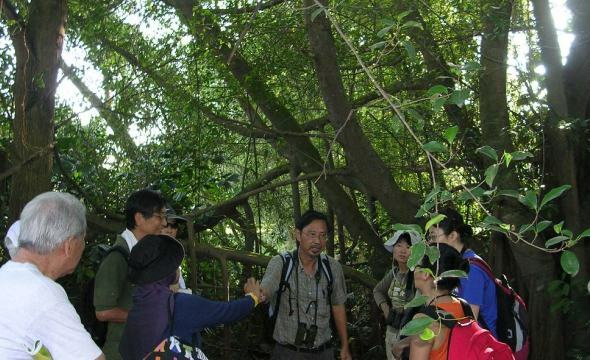 The Nature Society (Singapore) or NSS is dedicated to the appreciation, conservation, study and enjoyment of the natural heritage in Singapore, Malaysia and the surrounding region. They organise nature appreciation activities; conduct conservation projects and surveys; collaborate with schools and community groups to promote nature appreciation and education; and campaign for the protection of natural habitats. ONE (SINGAPORE) is dedicated to raising public awareness and taking concrete actions to Make Poverty History, and is committed to supporting projects across the region that are linked to the Millennium Development Goals. Restroom Association (Singapore) is a non-profit organisation which advocates for clean public toilets and strives to reach out to its target audience with innovative programmes and activities that have impact and can be sustained. Singapore Environment Council (SEC) is an independently managed, non-profit and non-government organisation. It aims to be the preferred non-government organisation partner for communities, businesses and government to achieve the best-in-class sustainable city development in Singapore and the region. The Society for the Prevention of Cruelty to Animals (SPCA) is a registered animal welfare charity to promote kindness to animals and birds, and to prevent cruelty to animals and birds. SPCA provides various animal welfare services to the community. The South-east Asian Biodiversity Society or SABS is a non-profit organisation based in Singapore, aimed to advance the conservation of Southeast Asia‟s biological diversity. 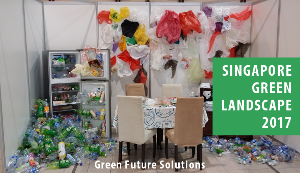 Sustainable Living Lab (SL2) is a social enterprise with the vision of building a Sustainable Future via a Purposeful Maker Culture. The Dorsal Effect is stopping the supply side of the shark finning trade and providing sustainable alternative income for shark fishermen. The Upcycling Factory is a social enterprise that seeks to promote social inclusiveness through purposeful craft-making, one craft at a time. Vegetarian Society (Singapore), VSS, is a non-profit, non-religious organisation formed to build a more humane and harmonious world for everyone on the planet, for our children, as well as for our fellow creatures. The Waterways Watch Society (WWS) is a volunteer group that brings like-minded people together to monitor, restore and protect the aesthetics of our waterways. WWS initiates and organises on-going activities aimed at educating the public on the importance of keeping the waterways clean. Wildlife Conservation Society (WCS) saves wildlife and wild places worldwide through science, global conservation, education and the management of the world’s largest system of urban wildlife parks. WCS Singapore protects and conserves the wildlife and wild places in Singapore and anywhere in the world. WOW Kampung is the education arm of Ground-Up Initiative, nurturing purposeful, sustainably minded individuals. Their unique programmes return people to the fundamentals of working in unison with our environment and with one another. WWF Singapore initiates outreach, educational and fundraising activites for Asia Pacific conservation works through close collaboration with corporations and the Singapore community. Zero Waste SG is a not-for-profit and non-governmental organisation dedicated to help Singapore eliminate the concept of waste, and accelerate the shift towards zero waste and the circular economy.